The small group of states that prepare Western Sahara resolutions for the United Nations Security Council, the so-called 'Group of Friends for Western Sahara', refuses to allow friends of Western-Sahara be included in the group. Foreign Minister Søreide explains. Member of Parliament in Norway Åsmund Aukrust on 9 May asked a question to the Foreign Minister as for whether Norway has taken initiative so that also states that are supportive of the Sahararwi people's rights will be included in the friends group that prepares cases for the UN Security Council. Søreide answered that "such type of change would require adequate support from today’s members. This is unfortunately not the case today. The Norwegian government is well aware that past elected members of the Security Council have proposed to change the composition of the Group of Friends, but without success". The dilemma is that the group is not decided by anyone, nor holds a mandate - but at the same time refusing access of other states to the group. Below is Aukrust's question and the Minister's answer. Translation by the Norwegian Support Committee for Western Sahara. Åsmund Aukrust (A): Will the Government take initiative so that the so-called 'Group of Friends for Western Sahara’ be broadened and include states that are friends of Western Sahara? 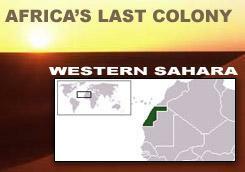 The UN Security Council decided once again in April a weak and unbalanced resolution concerning Western Sahara. Morocco persists its occupation and refuses to take part in the peace talks regarding self-determination. Instead of being under pressure from the Security Council to return to the negotiating table, Morocco's approach is received by the Council with credibility. The highly influential Group of Friends is preparing the resolutions of the Security Council. The group has in the past had a broad composition, but consists today of the United States, the United Kingdom, Russia, as well as Morocco's important allies Spain and France. Several states have criticised the composition and work of the group. The "composition does not reflect the span of perspectives on the Western Sahara", New Zealand criticised in an explanation of vote in 2016 when it abstained. Morocco had at this point expelled a significant number of UN personnel from the occupied territories without this being reflected in the resolution. In a parliament debate in 2014 Minister of Foreign Affairs, Mr. Brende, expressed that Norway will «see whether this group is interested in expanding, including membership to countries that hold the opinion that Norway does with regards to the question of Western Sahara." Ine M. Eriksen Søreide: Norway supports the UN's work for a political solution to the conflict in Western Sahara. The UN Security Council presupposes that a political solution will have to provide for the right to self-determination for the people of Western Sahara. Norway supports the UN's efforts for a sustainable and just political solution that provides for such right to self-determination. We are pleased to see that MINURSO's mandate was renewed on the 27th of April this year. It is important that both the UN Special Envoy and MINURSO on the ground continue their efforts in line with the mandate from the UN Security Council. The informal group of friend for Western Sahara has primarily been engaged in relation to the yearly renewal of MINURSO's mandate in the UN Secuity Council. The composition of the Group of Friends has been the same since 2012. It is still composed of four out of five permanent members of the Security Council, that being France, Russia, the United Kingdom and the United States. In addition, Spain is a member of the group through being a former colonial power in that region. Since the group- as other similar groups connected to the Security Council - is an informal arrangement, there are no formal criteria for membership. The Department of Foreign Affairs has assessed the possibility for a change of composition of the group of friends, primarily in the form of a possible expansion. This type of change would require sufficient support from its current members. This is unfortunatly not the case today. The Norwegian government is well aware that past elected members of the Security Council have proposed to change the composition of the group, but without success.